Airborne Light Detection and Ranging (LiDAR) data have been increasingly used for classification of urban areas in the last decades. Classification of urban areas is especially crucial to separate the area into classes for urban planning, mapping, and change detection monitoring purposes. In this study, an airborne LiDAR data of a complex urban area from Bergama District, İzmir, Turkey were classified in four classes; buildings, trees, asphalt road, and ground. Random Forest (RF) supervised classification method is selected as classification algorithm, and pixel wise classification was performed. Ground truth of the area was generated by digitizing classes into features to select training data and to validate the results. The selected study area from Bergama district is complex in urban planning of buildings, road, and ground. The building are embedded and very close to each other, while trees are very close to buildings and sometimes cover the rooftops of buildings. The most challenge part of this study is to generate ground truth in such a complex area. According to obtained classification results, overall accuracy of the results is found as %70,20. The experimental results showed that the algorithm promises reliable results to classify airborne LiDAR data into classes in a complex urban area. Belgiu, M. and Drǎguț L., 2016. Random forests in remote sensing: a review of applications and future directions. ISPRS J. Photogramm. Remote Sens., 114 , pp. 24-31. Breiman, L. 2001. “Random Forests.” Machine Learning 45: 5–32. Canaz S., Aliefendioğlu Y. and Tanrıvermiş H., 2017. Change detection using Landsat images and an analysis of the linkages between the change and property tax values in the Istanbul Province of Turkey. Journal of Environmental Management. Vol. 200:446-45. Chehata, N., Li, G. and Mallet, C., 2009. Airborne LIDAR feature selection for urban classification using random forests. Geomat. Inform. Sci. Wuhan Univ. 38, 207–212. Dittrich, A., Weinmann, M. and Hinz, S., 2017. Analytical and numerical investigations on the accuracy and robustness of geometric features extracted from 3D point cloud data. ISPRS J. Photogramm. 126, 195–208. Charaniya, A.P., Manduchi, R. and Lodha, S.K., 2004. Supervised parametric classification of aerial LiDAR data. In Proceedings of 2004 Conference on Computer Vision and Pattern Recognition Workshop (CVPRW’04), Washington, DC. Chen, W., Li, X., Wang, Y., Chen, G. and Liu S., 2014. Forested landslide detection using LiDAR data and the random forest algorithm: a case study of the Three Gorges, China. Remote Sens. Environ. 152 (2014), pp. 291-301. Guan, H., Li, J., Chapman, M., Deng, F., Ji, Z. and Yang, X., 2013. Integration of orthoimagery and lidar data for object-based urban thematic mapping using random forests. 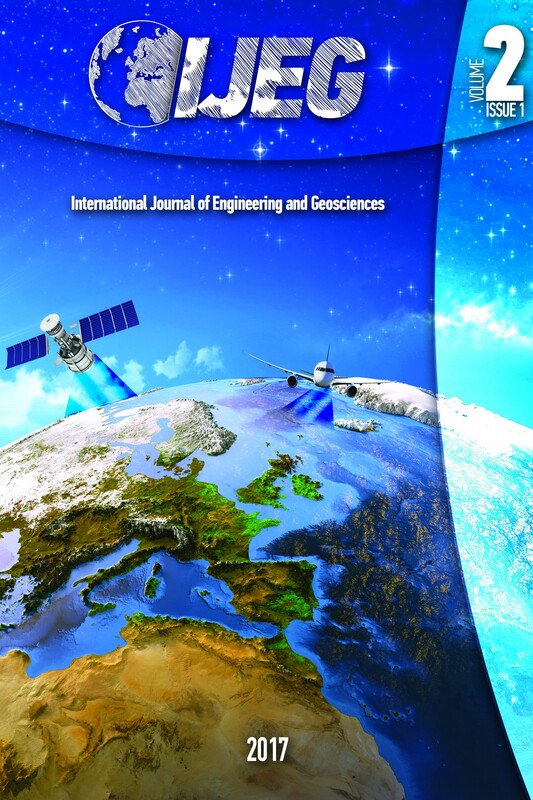 International Journal of Remote Sensing, vol. 34, issue 14, pp. 5166-5186. Kayı A. Erdoğan M. and Eker O., 2015. Results of LİDAR test performed by OPTECH HA-500 and RIEGL LMS-Q1560. Harita Dergisi, Volume 153, pp 42-46. Lodha, S.K., Kreps, E.J., Helmbold, D.P. and Fitzpatrick, D., 2006. Aerial LiDAR data classification using support vector machines (SVM). The Third International Symposium on 3D Data Processing, Visualization, and Transmission pp. 567-574, 10.1109/3DPVT.2006.23. Richards, J.A. and Jia, X., 1999. Supervised Classification Techniques Remote Sensing Digital Image, Analysis, Springer-Verlag GmbH, Heidelberg (1999) pp. 193–247. Pedregosa, F., Varoquaux, G., Gramfort, A., Michel, V., Thirion, B., Grisel, O., Blonde,l M., Prettenhofer, P., Weiss, R., Dubourg, V., Vanderplas, J., Passos, A., Cournapeau, D., Brucher, M., Perrot, M., and Duchesnay E., 2011. Scikit-learn: Machine Learning in Python. Journal of Machine Learning Research 12:2825-2830. Rodriguez-Galiano, V., Ghimire, B., Rogan, J., Chica-Olmo, M. and Rigol-Sanchez, J., 2012. An assessment of the effectiveness of a random forest classifier for land-cover classification. ISPRS Journal of Photogrammetry and Remote Sensing, 67 (0), pp. 93-104. Yang, X. and Lo, C.P., 2002. Using a time series of satellite imagery to detect land use and land cover changes in the Atlanta, Georgia metropolitan area , International Journal of Remote Sensing, 23, pp. 1775—1798.